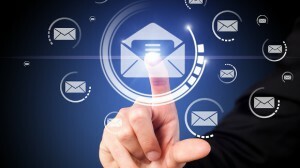 Email management systems provide real time benefits and effective functions to businesses. As competition and customer demands increase, so does the need to have robust technological solutions that solve more problems than they create. The only way to handle massive volumes of daily emails is through the powerful support and infrastructure provided by email management systems. Most call centers and customer service departments will use email management systems that integrate with telephone systems. Having shared technological processes and methods means better customer service quality and solutions. Businesses that do not have physical stores, such as e-commerce companies, completely rely on email to respond to customer inquiries and complaints. Email management systems are very cost effective when compared with phone systems because customer service reps can easily multitask and track their workloads. Email management systems offer excellent benefits. They increase productivity through providing integrated solutions that increase employee communication and cooperation. They reduce spam and inefficiencies while increasing work quality and consistency. They are preferred by companies that need to decrease their costs of compliance and litigation. High profile corporate investment and financial mismanagement scandals have spurned demands from the public and government for better accountability and transparency. They are the perfect solution for easily accessible and organized archived records. These systems decrease the costs associated with litigation and compliance issues by streamlining and simplifying the entire documentation process. Finally, these systems go hand in hand with security and anti-virus programs, which reduces online threats and problems. Before implementing a comprehensive email management system, decision makers must consider their platform needs and requirements. Some companies use a single email server that facilitates all email operations, but other companies use a third-party hosted service. In this case, there may be plug-in requirements, new protocol functions and potential client integration problems. The company must also consider their archiving and backup requirements, which is extremely important for certain companies such as law, finance and health care firms. If the company archives emails that may be required for litigation purposes, there must be proper security and confidentiality controls. Finally, email and records management are often two separate systems, but more companies are integrating the two to save money and space. Microsoft Outlook is one of the most popular email management systems because it seamlessly integrates with other Office products such as Word and Excel. Outlook’s powerful calendar function is an essential business tool used around the world to schedule meetings, workloads and projects. Google’s Gmail has become one of the most popular email platforms. More and more business users realize the benefits of using it together with Google Docs, Sheets, Calendar and Dropbox. The business rates are inexpensive and Google offers excellent tech support. Other popular programs include Salesforce, Contractually and Vertical Response. Email management systems offer integrated and innovative business solutions that will decrease costs while increasing productivity. Companies should consider investing in multi-functional systems that can grow the company’s needs.